The Board of Control for Cricket in India (BCCI) has reportedly cancelled its contract with broadcasting company Nimbus Communications for the telecast of matches played in India. Nimbus had bought the rights for an estimated ₹ 2,000 crore in 2009-10 for four years. The company simply renewed its contract with BCCI that year, having been awarded the rights in 2006. At issue is payments not having been made on time. 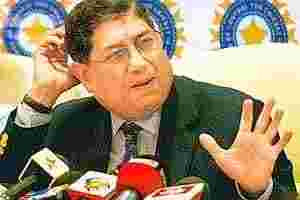 BCCI is not wholly blameless. In its bid to milk India’s obsession with one sport, the administrator has packed the season with too much cricket. The world’s richest cricket body, it appears, believes in playing more to earn more. Clearly, the market is over-served. Since the IPL matches are dispersed across several cities, they take the sport to places that were earlier cricket-starved. That explains the empty stands in stadiums and poor gate collections. Also, some cricket buffs prefer to watch the game up, close and personal on television screens rather than brave traffic and security at stadiums. Broadcasters should also examine their role in creating an unviable ecosystem around the game. Be it Multi Screen Media Pvt. Ltd, which purchased the IPL rights for $1.6 billion, or Nimbus, which forked out ₹ 2,000 crore, the companies have paid astronomical sums. For Nimbus, the cost per match works out roughly to ₹ 31.5 crore. The company can break even if it recovers between ₹ 22 crore and ₹ 25 crore from advertising as the rest can be made up from subscription revenue. However, it is nearly impossible to achieve this for every single match. Although the advertising pie for cricket has expanded, the sharp increase in the number of matches has worked against the broadcasters. Apart from this, 30% of advertising has moved into IPL, which means there’s only so much to go round in the rest of the season. Whatever be the outcome of the dispute, this is as good a time as any for BCCI to reconsider how best it can rework the schedule so that the game remains as vital as ever for the millions who follow it.